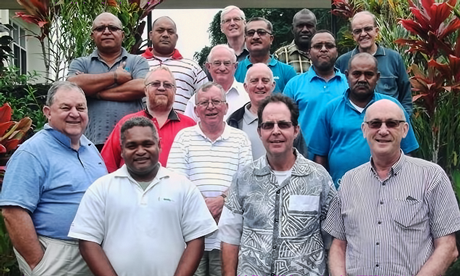 The most important thing coming from the recent Marist-Asia-Pacific (MAP) meeting is that “reconfiguration” is back on the agenda. 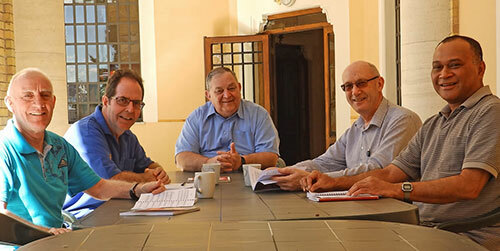 This is the view of Australian provincial, Fr Bob Barber, writing in the Australian province’s provincial newsletter. Fr Barber says reconfiguration is “back on the agenda and it needs to be addressed because we have to keep working on it with our MAP partners”. After consultation with their respective councils, in August 2014, MAP delegates will begin restructuring with the aid of Skype. According to Fr Barber, the source of the issue is found in the Council of the Society of Mary document, number 13, and numbers 19 – 45 of the Superior General’s recent circular letter, and in number 51 where Fr John Hannan gives specific direction, indicating what it required over the coming years. “Without regrowth in our ranks in Australia for the best part of 30 years, each day we become an older and smaller group that cannot continue as it has in the past. “We have men who are doing good things in the mission of the Church but we have relatively few involved in corporate ministry ventures. “While we are still in a position to do so we must assume some determination for our own future and this means working with other Provinces and Districts,” wrote Fr Barber. 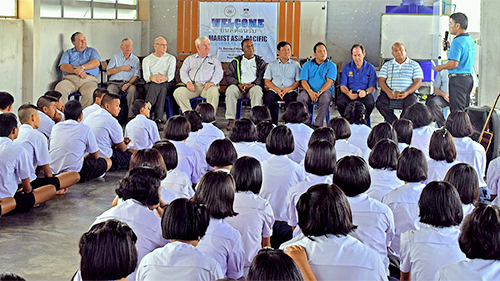 In the next three to four years, the Australian province plans to continue dialogue with MAP, but in particular with New Zealand and the District of Asia. As part of the discussions he expects there will be structural and organisational changes to the Society of Mary in the South Pacific. 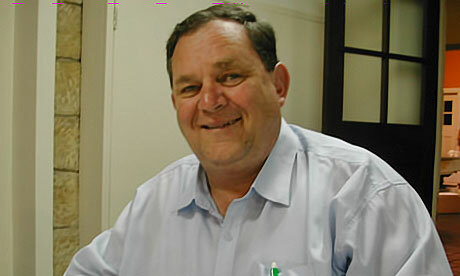 “This (reconfiguration) will certainly be a major part of the Province Assembly next year and the Provincial Chapter in 2016”, Fr Barber wrote.